Pay-for-performance models are aligning with care delivery processes to drive fundamental changes for many hospitals and other healthcare organizations. Unlike the traditional, pay-for-service approach, these new models focus on patient outcomes, delivering big wins for hospitals that deliver high-quality care efficiently. For example, the Medicare Shared Savings Program rewards participants of an Accountable Care Organization (ACO) that boost care quality and efficiency in the treatment of Medicare patients. Formed by hospitals, doctors, and other care providers, these groups work together to deliver higher quality care more efficiently. In the Shared Savings Program, ACOs earn financial incentives when they get it right. That means delivering the right care at the right time, while preventing medical errors, and eliminating unnecessary services. To succeed, ACOs need a single platform for secure communication and reliable care across the entire care continuum – from the a hospital, to a clinic, to a medical practice office, to a patient’s home. 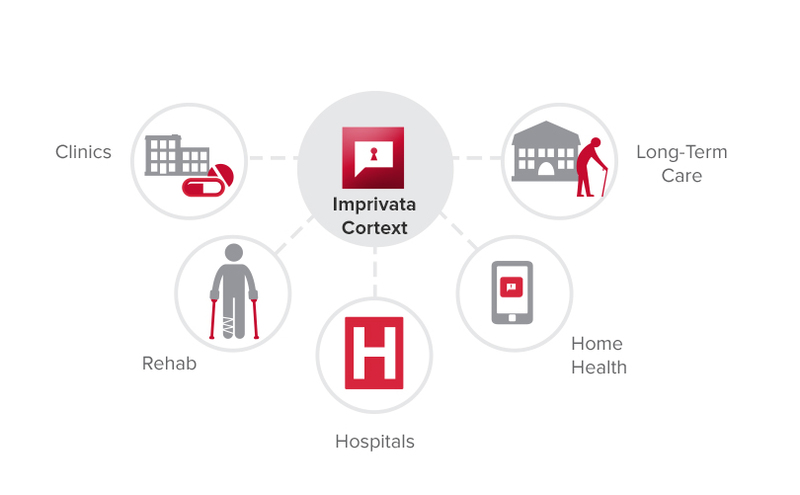 Imprivata Cortext® is the secure communication platform designed for multi-site communication and care coordination. With Imprivata Cortext, providers can easily communicate across multiple organizations, all from a single platform, enabling better focus on patient care.